Shoshana received a Bachelor’s degree on full scholarship from Boston University, a Master’s degree from the Juilliard School in New York, and a Doctorate in performance from McGill University. She has taught piano and coached ensembles at McGill University, the University of Ottawa, Wilfrid Laurier University, and currently teaches piano at McMaster University. She frequently gives masterclasses, adjudicates competitions, and examines for the Royal Conservatory of Music. 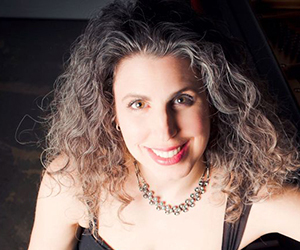 Shoshana has performed at numerous summer festivals including the Ottawa International Chamber Music Festival, the Elora Festival, the Kincardine Summer Music Festival, the Brott Music Festival, and the Blueridge Chamber Music Festival. She has been awarded honors at the International Stepping Stone Competition, the Esther Honens International Piano Competition and the Canadian Concerto Competition. Shoshana’s recordings include solo works of Canadian composer Colin Mack (Cansona), the Grieg violin/piano sonatas with Jeremy Bell (Chestnut Hall Music) and the six Bach Keyboard Partitas (Centaur Records).